I gave a talk in Stirling City yesterday to the Stirling City Historical Society. What a nice bunch of people! My friend Diane invited me to speak to them, and she and her husband David drove Jim and me up there. I had never been to Stirling City, which is on “The Ridge” above Magalia, which is above Paradise. Once upon a time it was the site of the Diamond Match sawmill, but that closed down in 1958. It has a lovely park (Merlo Park), lots of old wooden buildings, and cross streets named after minerals in order of their hardness: Diamond, Quartz, Granite, Lava, Slate, Mica, and Gypsum. A great way to name streets, if you ask me. 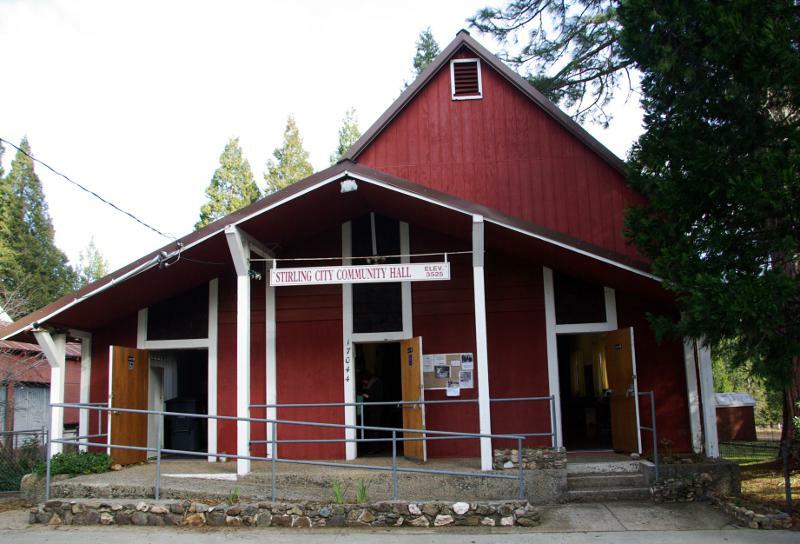 The SCHS meets in the Community Hall, which originally was a small movie theater. An addition on the side holds the kitchen. The tiny projection booth is still there. The projectionist must have had to use a ladder to get into it—there aren’t any stairs. There is not much of a connection between John Bidwell and Stirling City, since he died before it came into existence, but Annie Bidwell financed the building of the Little Brown Church. 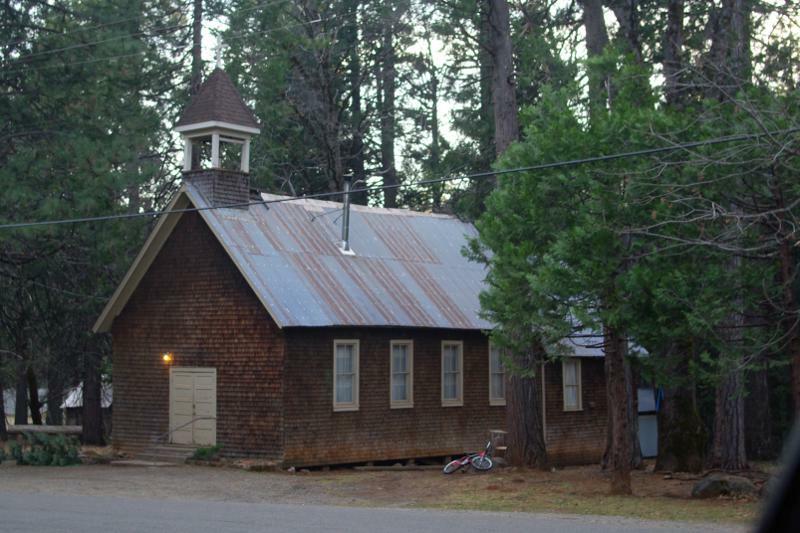 It was originally a Presbyterian church, but now is used inter-denominationally. I didn’t get to see the inside, but I hear it is quite charming. I’m looking forward to going back to Stirling City next summer, when the park is open, to take my grandkids on a picnic.